Video Available.This Tom Fexas designed sportfisher offers an excellent combination of long-range and luxury accommodations after a days fishing. With an almost 20' beam, LEGACY enjoys a very spacious interior layout featuring a split-level salon, a gourmet galley open to the salon, full-beam master stateroom plus two guest staterooms, all en-suite, California observation deck forward of the huge cockpit, walk-in full headroom engine room and protected inside stairway to the flybridge. Maintained with an open-checkbook policy by her owner of the past 12 years. LLC owned. United Yacht Sales New Jersey would love to guide you through a personal showing of this 70' Mikelson 2000. 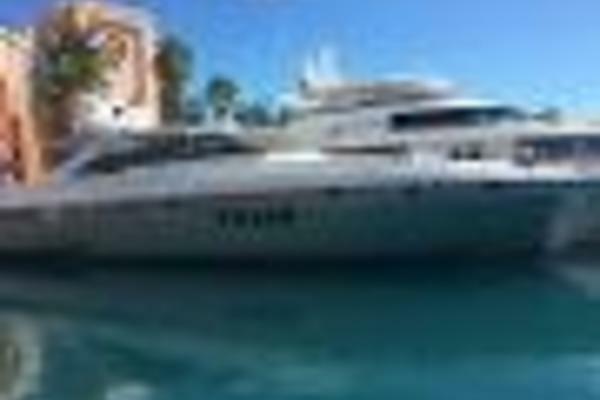 This yacht for sale is located in Newport Beach, California and priced at $899,000. For a showing please contact us by filling out the form on this page and we will get back to you shortly! Video Available.With almost a 20' beam, LEGACY offers an exceptional amount of interior space. The very functional interior layout has excellent traffic flow with easy boarding through a transom door.Steps lead up to a California deck with built-in seating and desirable day head forward of the large fishing cockpit. The main salon has a large built in L-shape settee to port and steps up to the split-level dinette and galley. Large windows offer an unobstructed view while seated.The gourmet galley is open to the salon. Stairs lead down to a starboard side hallway which accesses the master and guest staterooms. The full-width master is amidship and features a king-size berth, en-suite head with stall shower and abundant locker and drawer storage. Next forward is the VIP stateroom with queen berth and en-suite head with stall shower. The forward guest cabin features two twin berths and en-suite head with stall shower. Captain/crew quarters are accessed by stairs leading down from the forward end of the cockpit and consist of two separate cabins with twin berths and a shared head with stall shower along with refrigerator and microwave.Access to full headroom engine room forward of crew quarters. A circular stairway leads up from the salon to the flybridge featuring an all-weather enclosure, control station, built in settee/dinette. There is also an aft control station overlooking the cockpit and ladder leading up to a tower station with full controls, seating and bimini top. This Tom Fexas designed sportfisher offers an excellent combination of long-range and luxury accommodations after a days fishing. With an almost 20' beam, LEGACY enjoys a very spacious interior layout featuring a split-level salon, a gourmet galley open to the salon, full-beam master stateroom plus two guest staterooms, all en-suite, California observation deck forward of the huge cockpit, walk-in full headroom engine room and protected inside stairway to the flybridge. Maintained with an open-checkbook policy by her owner of the past 12 years. LLC owned.